What do do in Rwanda. Where to go in Rwanda. Welcome to Rwanda “the land of a thousand hills” with its endless expansive lush mountains and diverse natural beauty, lies in great lakes region of Central Africa and boasts moderate climate. 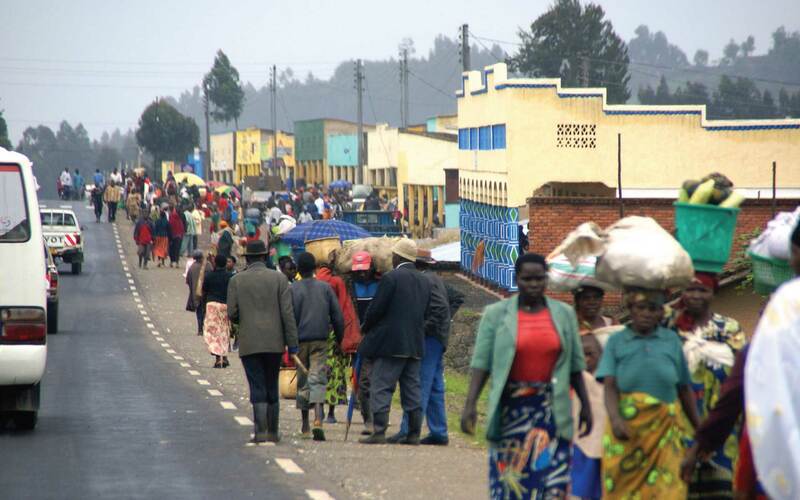 Rwanda is regarded as a landlocked country and one of Africa’s smallest Country (26,338km sq.) but with incredible treasure of biodiversity that requires protection. 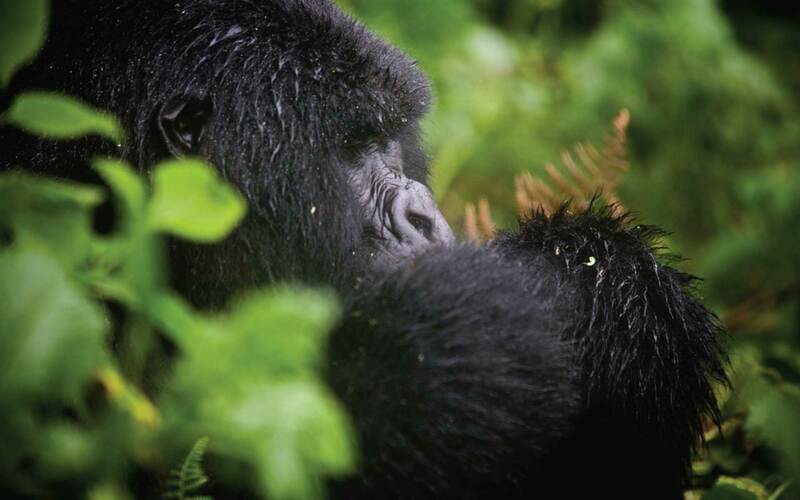 The nature lover on visit to Rwanda will be impressed by the variety and rarity of what can be observed, but there is more to see in Rwanda than protected mountain Gorillas and Albertine Endemics. 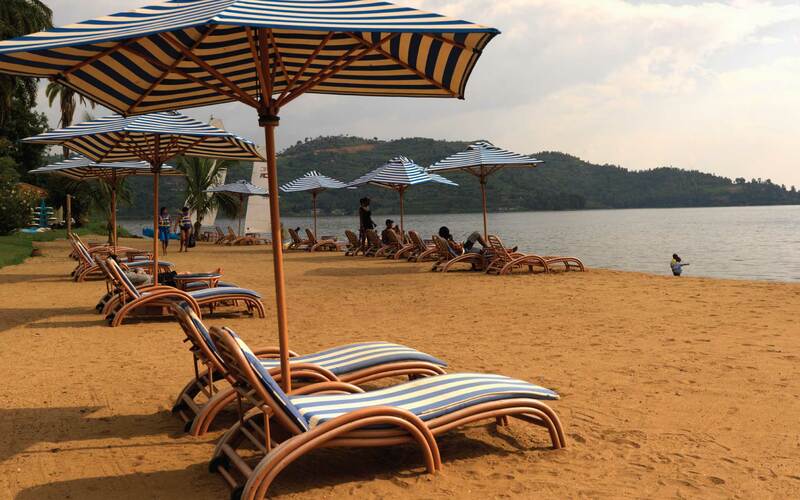 The shores of Lake Kivu boast some of the best inland beaches in Africa and offer an opportunity to explore the many small island of Lake Kivu. Rwanda's renowned Volcanoes National Park is home to mountain gorillas and golden monkeys. The park encompasses 4,507m-tall Mt. Karisimbi and 4 other forested volcanoes. In the southwest is Nyungwe National Park, with ancient montane rainforest that's a habitat for chimpanzees and other primates. Kigali the capital and conference hub of East Africa forms a central stepping stone to various destinations within the country and central and East Africa. The city is green, vibrant, safe, and brews superb home grown tea and coffee. Although Rwanda is all too often associated with in the 1994 Genocide that resulted in the mass murder of as much as 20% of the country’s total population, the country is taking giant strides towards cultural recovery and investments in the future. Tourism in Rwanda is growing with some of the following destinations areas to explore. 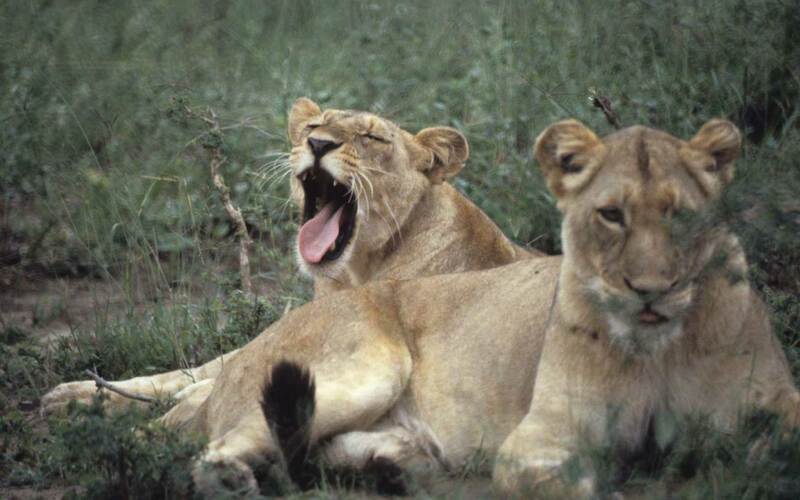 Rwanda savannah park protecting animals and vegetation in their habitats especially the big game. It currently offers opportunities to see big game such as; Elephant, giraffes, Zebra, lions, leopards, and variety of various Antelope species. Home to the few remaining number of mountain Gorillas, but beyond the mountain gorillas, the park has many tourism potentials, it host rare and endangered golden monkeys, forest buffalos and a lots of bird life including the localized Albertine rift Endemics. 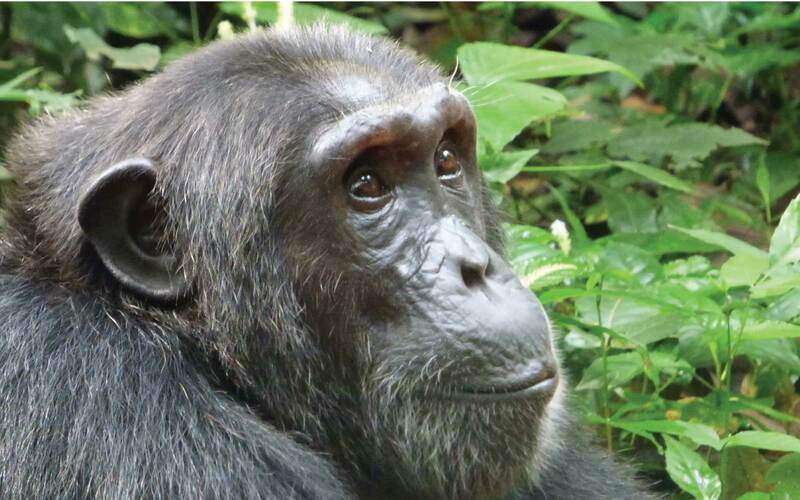 One of the few remaining tropical mountainous rain forests in Africa located in south western part that hosts about 13 primate species that include habituated Chimpanzees, Rare Angolan colobus monkey, l’hoest monkey, owl faced, baboons, red tailed monkeys. 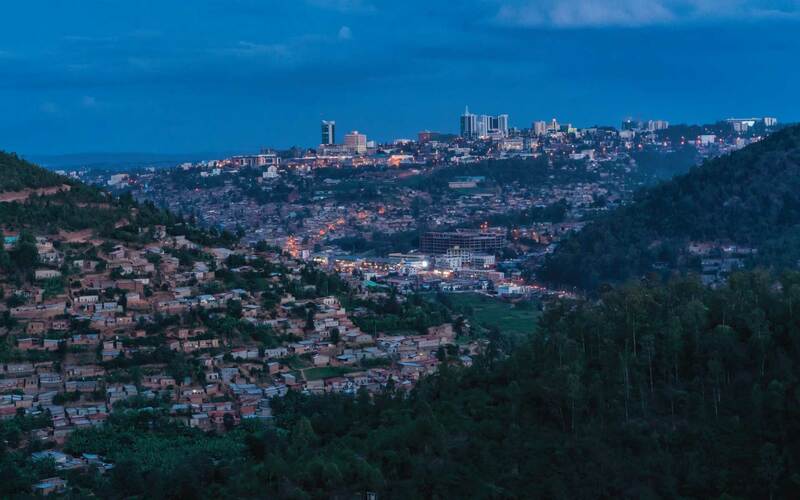 Kigali city, with a population of more than 1 million, is the capital and largest city of Rwanda. Top attractions in Kigali include Kigali Genocide Memorial Center, Kandt House Museum of Natural History, Presidential Palace Museum, Green Park, City People, Culture and Sights. Lake Kivu is one of the African Great Lakes. It lies on the border between the Democratic Republic of the Congo and Rwanda, and is in the Albertine Rift, the western branch of the East African Rift. Attractions include - beaches, volcanoes, gorillas, and chimpanzees. Gisenyi is a city in Rubavu district in Rwanda's Western Province. Gisenyi is contiguous with Goma, the city across the border in the Democratic Republic of the Congo. Attractions in Gesenyi Town include lakes, beaches, hot-springs, and volcanoes. Dry seasons Rains ease during the long dry (mid-May to September) and short dry (mid-December to mid-March). June–July - Baby gorillas are named during the Kwita Izina ceremony. The long rains Although often wet from mid-March to mid-May, travel is still possible.